Windsor Lanzone is Of Counsel at Moore & Lee, LLP. Ms. Lanzone’s practice focuses on long term healthcare law and she serves as national litigation counsel serving healthcare providers, including long term healthcare facilities, by assisting them with medical and professional malpractice defense, defense of general negligence claims, and other matters. Ms. Lanzone manages litigation across the country for her national clients assisting them with case evaluation, management, negotiation and resolution as well as risk management services pertaining to claims alleging negligence, abuse, and other matters. 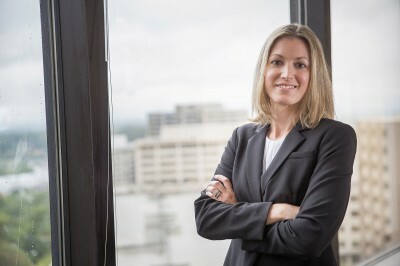 In addition to her healthcare practice, Ms. Lanzone has also represented clients in matters pertaining to construction law, government contracts and other general commercial litigation matters. Ms. Lanzone is a member of the Virginia Bar Assocation and the American Bar Association.